Robert Dawson loves photographing the spirit of the American West. 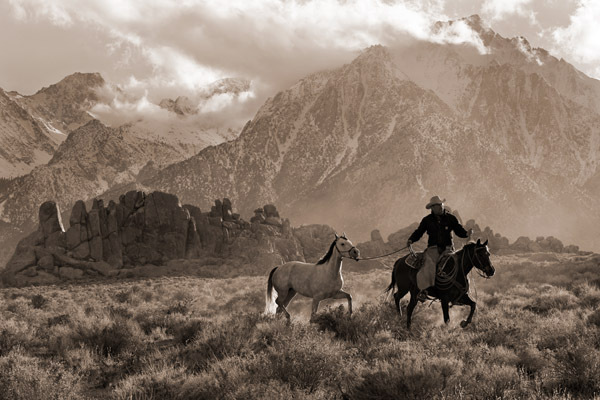 Through his camera, the iconic cowboy and his horse continue to fascinate all who view the artist's incredible images. Perhaps this cowboy is leading a mustang he has captured to bring back to the ranch. This beautiful horse is a fine acquisition to add to his herd.